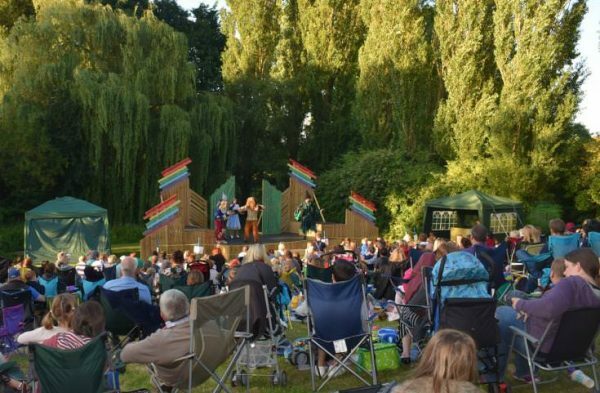 After last year’s sell-out success with the Wizard of Oz, Immersion Theatre are returning to Sacrewell for another evening of open-air theatre with the Wind in the Willows. If you’d like the chance to enjoy this toe-tapping musical, you can book your tickets online. The stage is set beside the mill stream at Sacrewell, beneath the boughs of our very of own willow tree, with the sloping bank providing a gradual slope to set up your picnic blankets and low-backed chairs on. The performance is recommended for ages 3+ and will continue even if the weather is wet so please ensure you come prepared. You are welcome to bring your own picnic or to purchase snacks at Sacrewell on the night.